The Barons Suite is on the first floor in the Tudor building. 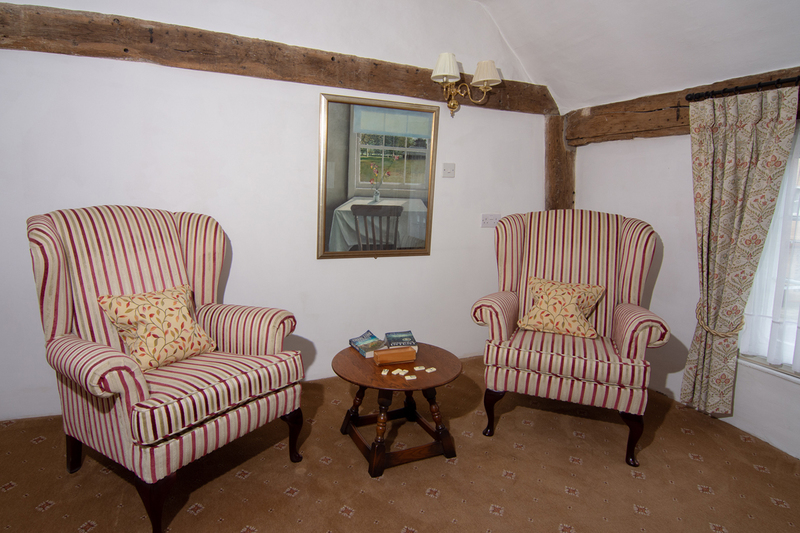 This unusual spacious suite of rooms has a sitting area, separated from the bedroom. Two comfortable chairs encourage relaxation in this unusual setting. 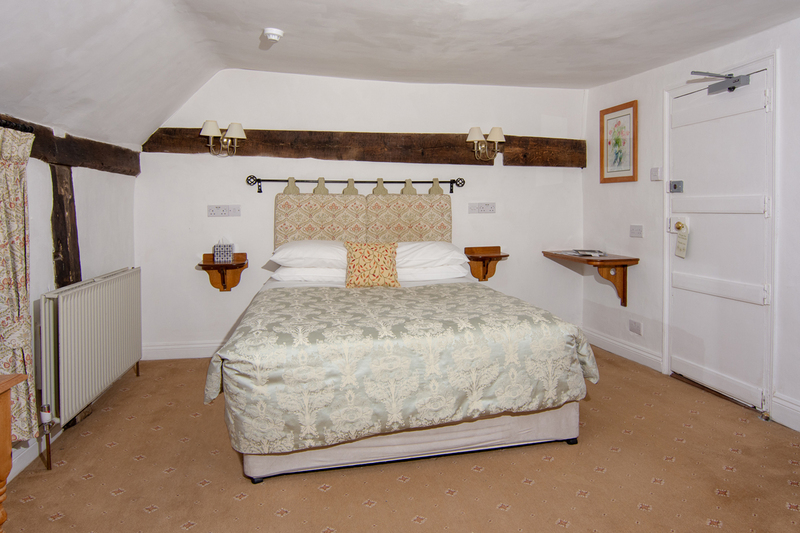 There is an ensuite shower room for your comfort, with bathrobes and slippers to enhance your stay.